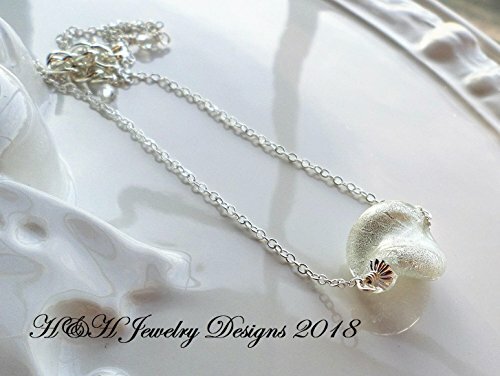 This beautiful new necklace is made by me with genuine Murano glass! The focal bead is a twisted Murano glass bead that is done in white with heavy layers of silver foil. The bead is encased in clear glass helping to protect the silver foil. The bead measures 3/4 inches across and with the addition of the wire that I have added the bar measures 1 1/4 inches across. The chain is a bright silver brass plated cable chain that is delicate yet strong. Total length; adjustable from 17 to 18 inches with a lobster clasp and extender chain. Thank you!